Scams revolving around utility bills are not uncommon. Utility bills are a major expense that every consumer has every month. Criminals are always looking for ways to exploit that. Georgia Power now reports it has gotten wind of a new such scam. It says scammers are selling unsuspecting consumers Federal Reserve Bank routing numbers, along with instructions for using them to pay utility bills. Paying your utility bill with non-existent money sounds too good to be true, and that should be the first tip-off you're dealing with a scammer. It just doesn't work. Georgia Power notes that its system – along with systems used by other utility companies – may initially accept a Federal Reserve routing number to pay a bill, but the bogus payment will eventually be rejected. The customers who try this gambit will then face late fees and possibly disconnection. “Federal Reserve routing numbers are used for sorting and processing payments between banks. 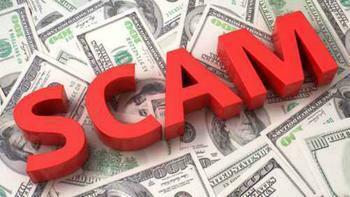 Any video, text, email, phone call, flyer, or website that describes how to pay bills using a Federal Reserve Bank routing number or using an account at the Federal Reserve Bank is a scam,” the utility company warns. This, of course, is just the latest in a long line of utility company scams. In the past, scammers have called victims, or even shown up at their door, claiming their service is about to be shut off for non-payment. The only way to avoid that is to make a payment immediately. Georgia Power says it, and most other utility companies, will never ask for a credit card or pre-paid debit card over the phone. It says it does not send employees door-to-door to collect payments. If you happen to get an email that looks like it is from a utility company demanding either immediate payment or personal information, that is also a tried-and-true scam. You should simply delete it, or forward it to your local utility company for action.